Premier League: Theo Walcott just the player Everton need, but can Sam Allardyce bring out the best in him? Facing the press last weekend after Everton's fourth straight defeat, manager Sam Allardyce sighed at his side's display in the 0-4 drubbing at the hands of Tottenham Hotspur. "I should have got back to being a bit more boring and a bit less adventurous," he said, wondering if a more conservative approach would have changed fortunes. Unfortunately for him, one suspects that it would have ended only in a 0-1 or 0-2 defeat. Because the trouble is that Everton do not score enough goals. Four shots on target in the last five Premier League games is a damning indictment of a side which spread its riches over the summer. Everton has managed only 25 goals in 23 league games this season; Wayne Rooney has scored 10 of them, followed by five from Oumar Niasse, who was initially not even supposed to be part of the first-team's plans. Allardyce is well aware of the malaise. That is why we have seen the club spend over £40 million over the past few days to refresh their attacking resources. Cenk Tosun arrived from Besiktas and, on Wednesday, Theo Walcott's move to Everton was finalised. Allardyce, for all his desire to return to the less ordinary, is seeking a bit more adventure as well. His team needs inventiveness going forward and the newly-signed duo is expected to refresh the side. However, trouble may still brew in the form of tactics. Despite his goals, Rooney has posed a conundrum which is yet to be resolved. Due to Allardyce's insistence — like his predecessor Ronald Koeman — to play the former Manchester United player and Gylfi Sigurdsson in the same side, the latter has been shunted out to the left. This has placed severe limits on Sigurdsson's influence while Rooney is, of course, no longer the all-consuming force of old. 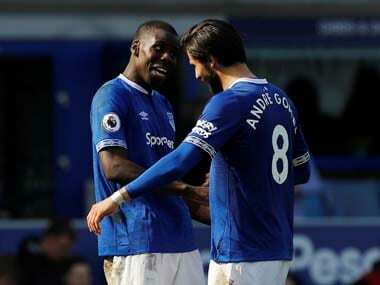 That is why, despite the return of the quick Yannick Bolasie in recent weeks, the functional nature of Everton's play remains a defining feature. Walcott joins a side which has scored only eight goals in nine league matches under Allardyce. He may not be the obvious answer to Everton's problems, but his new manager believes that the ex-Arsenal forward is at the peak of his career. That is a difficult case to make. Although Walcott will turn 29 in March, he has not started a Premier League match since April. The forward's 19 goals for Arsenal in all competitions last season was his second-best haul ever, but he slipped down the pecking order, owing to his wastefulness and also a continuing debate over his natural role. Walcott began his career as a winger, transitioned to the role of a wide forward, then demanded that he be played as a striker before accepting a return to the flanks. Nearly four hundred games and over a 100 goals for Arsenal and yet he has never really discovered where he actually belongs on a football pitch. So, when we talk of Walcott's revival, we need to consider what is being sought to revive at Goodison Park. Everton has spent £20 million and will pay 110,000 quid every week for the England international in the hope that he will resolve their issues going forward. Walcott, at his best, provides blistering pace with a curious knack for goals. In theory, he is just the kind of player Everton needs. But whether Allardyce can bring out the best in him remains debatable. For Walcott has the tendency to deliver in spurts. The low phases can be depressingly low. If Walcott is at his peak, consistency must accompany him. This might be his last chance to prove that the hype around his early years was justified. When Arsenal signed Walcott in 2006 from Southampton, he was heralded to be the kind of player England had sought for years. But due to poor form, bad luck and injury, he has never made a World Cup appearance for his country. Unless Walcott turns around his season remarkably, it is likely that he will not be on the plane to Russia. 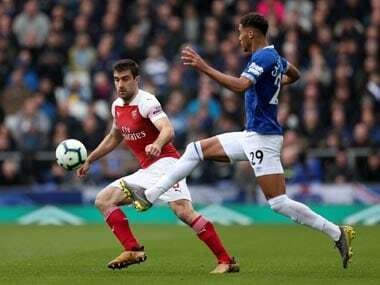 One would, however, expect Walcott to be ahead of Ademola Lookman, Nikola Vlasic and Aaron Lennon in the fight for a starting place. 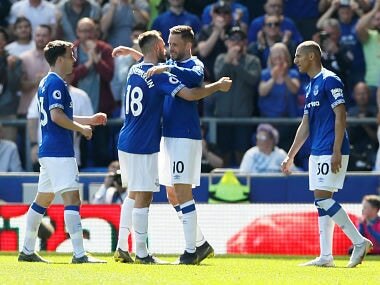 Everton has only league football on its calendar for the remainder of the season, so the 28-year-old can finally expect to move past appearances in cup competitions alone. Allardyce has already made it clear that he will go with experience as he seeks the highest league position possible, as the consequent financial rewards are important for the manager in the summer. 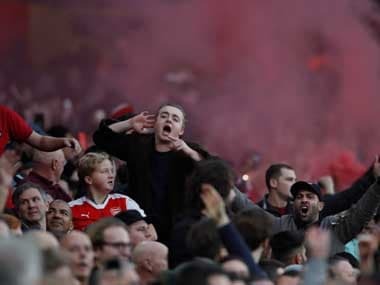 But for the club to be hopeful about a strong finish, things need to change immediately. . Allardyce's adventure has been a rocky ride, but he knows it cannot be boring any longer. It's time for Walcott to entertain again. 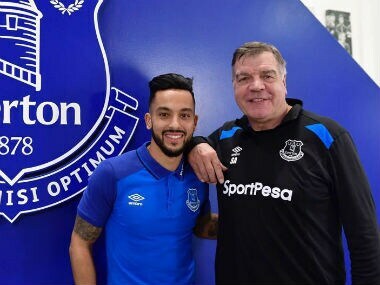 1Premier League: Theo Walcott just the player Everton need, but can Sam Allardyce bring out the best in him?